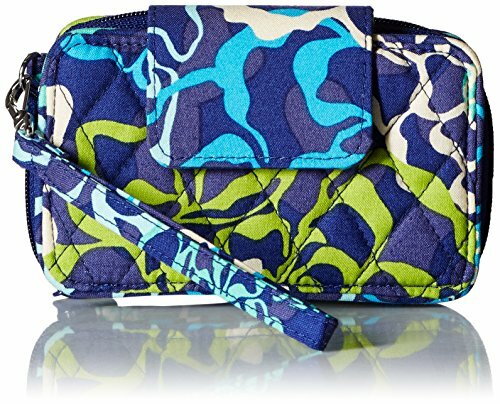 Signature cotton is colorful, lightweight and packable. Provides rfid protection for credit and debit cards. Accommodates an iPhone 6. Phone slip pocket on exterior. Eight credit card slip pockets, one slip pocket, one bill pocket and an id window. Pin snap and zip closures. 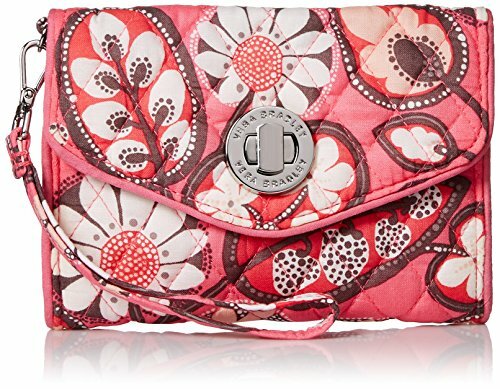 Our beloved all-in-one Smartphone Wristlet is now even smarter. We redesigned this fan favorite to include a bill compartment, and we moved the wrist strap to the opposite side to make the phone compartment even more secure. Inside, there are still all the components of a well-organized wallet: four card slips, a bill compartment and an ID window, plus two slip pockets. 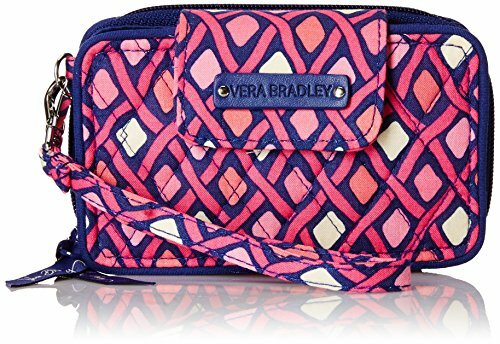 rafted in Vera Bradley's iconic prints with Vera Bradley print logo fabric on the inside. Features a front compartment for your iPhone 5 / 5s with a tab and snap closure. The zip around compartment on the back features 4 card slots, 2 slip pockets, a clear ID slot and a billfold compartment along the upper edge. And a small accordion zippered pocked on the back finishes it off. 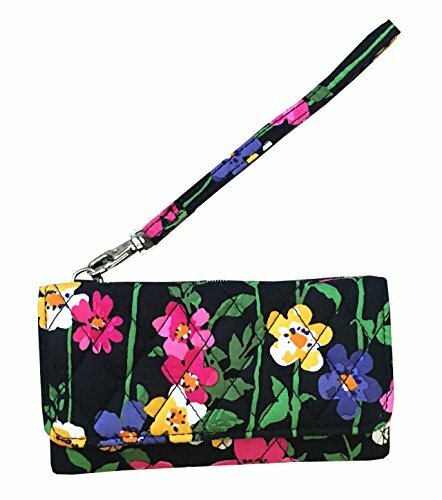 It has a detachable wristlet strap. 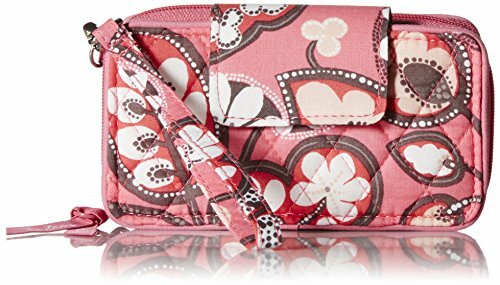 It measures approximately 5.5 inches (L) x 3.25 inches (H) x 1.5 inch (W). 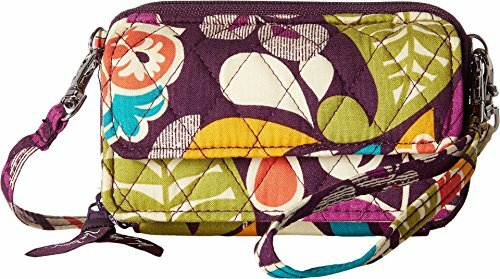 Vera Bradley wristlet for the iPhone 6. 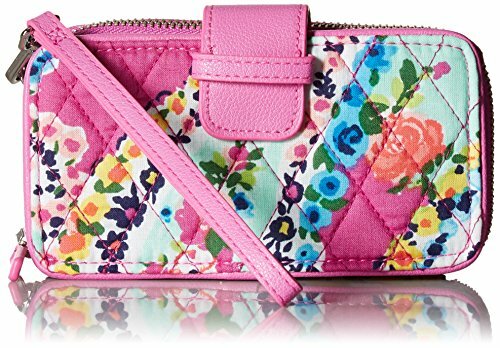 Ever have one of those days when you aren't sure if you need a wallet or a wristlet? 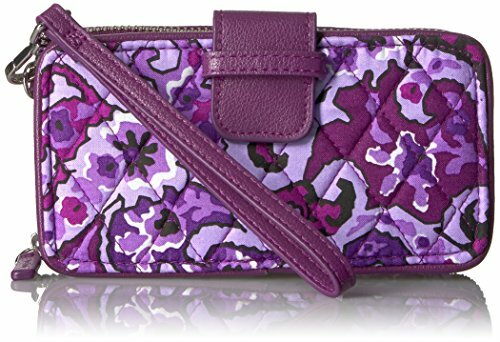 The Smartphone Wristlet organizes all of the things you carry in your wallet and also holds a phone. 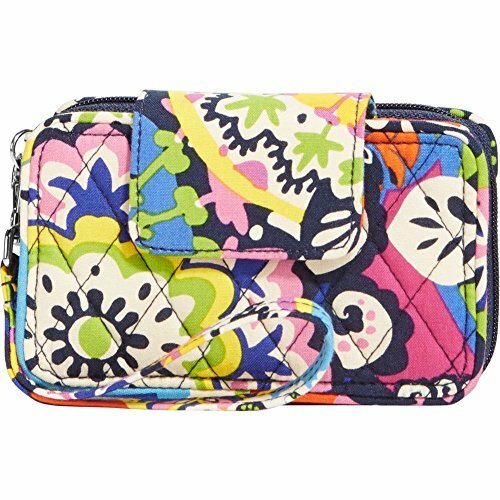 Compare prices on Vera Bradley Smartphone Wristlet at ShoppinGent.com – use promo codes and coupons for best offers and deals. Start smart buying with ShoppinGent.com right now and choose your golden price on every purchase.